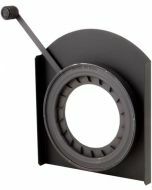 Turn your Source Four Jr. into a followspot type fixture with one of these! This drop in iris offers precise, smooth control of the beam size and it's specially made leaves are tempered and heat resistant to over 1000°F. 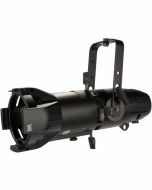 A Drop-In Iris is the simple way of changing the beam size of a fixed focus ellipsoidal reflector spotlight. Just drop in an Iris, adjust the handle to change the beam size from fully open to nearly fully closed. 0.75" x 5" x 9.5"